Vacation’s over and our schools have been back in session for a couple of weeks. That means tasty, fortified food is being served up to over 900 recipients 5 days a week. Thanks to Orphans Promise and to you, our supporters, children who were once dull and listless are now bright-eyed and full of energy! Below is a picture of a truckload of boxes en route for Petite-Anse while others stay behind for the students at the Sainte-Philomène school. Isn’t he the cutest thing you ever saw? I can’t believe he sat still long enough to pose with me. Usually, our students are racing around and showing off. Maybe it’s all the energy from the food they’re getting! I know this is blurry, but it was too good to pass up. Perpetual motion! You are making a HUGE difference. Thank you again for your support! The girls are always the best behaved! What a blessing to be able to impact young lives like these! Who knows what their futures hold? 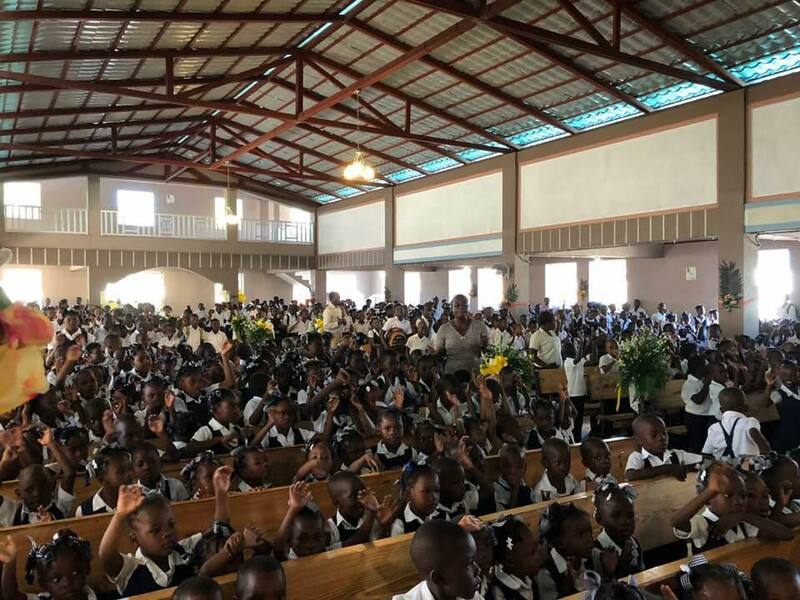 We invite you to share in the miracle of feeding and discipling the youth of Haiti.